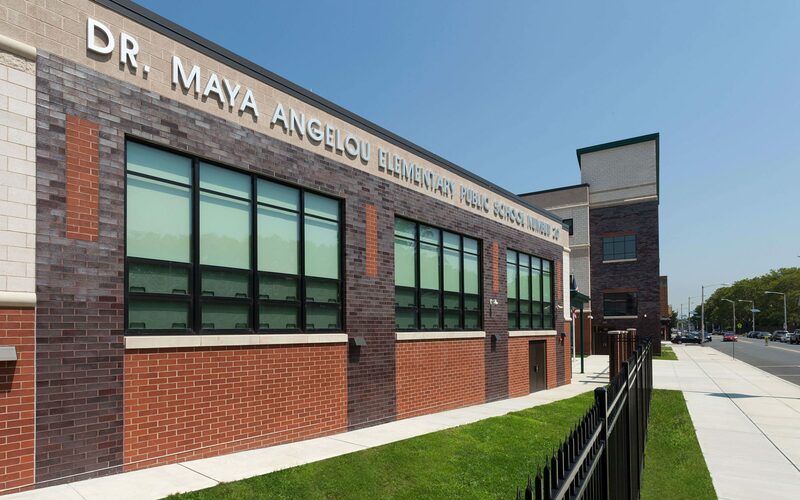 The Jersey City School District recently opened its first new building in over a decade, the Dr. Maya Angelou Elementary School. 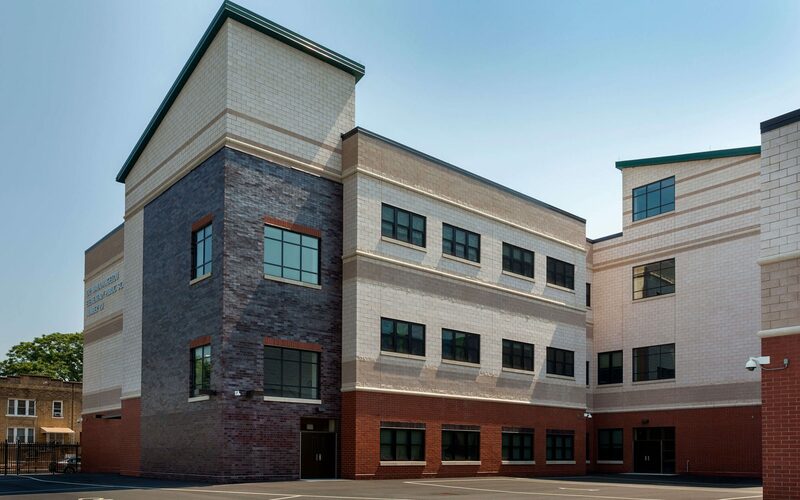 Constructed as one of the New Jersey Schools Development Authority’s projects, the new 110,000 square foot school will replace the obsolete PS 20, and will house 700 students in grades PK-5. The school was constructed on a very tight urban site. The building was therefore designed in a very efficient, three story stacked layout. 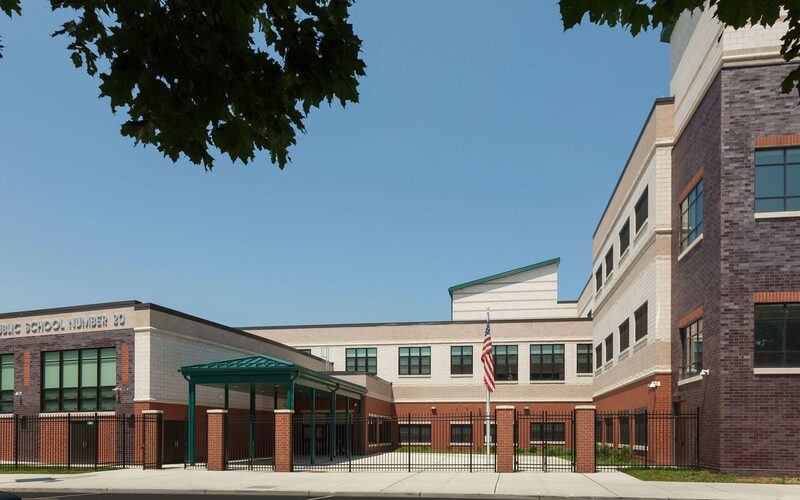 Classrooms are distributed among the three stories, with core spaces such as the multipurpose room, cafeteria, and media center housed on the lower two floors. The school is outfitted with wireless technology and is fully air conditioned. 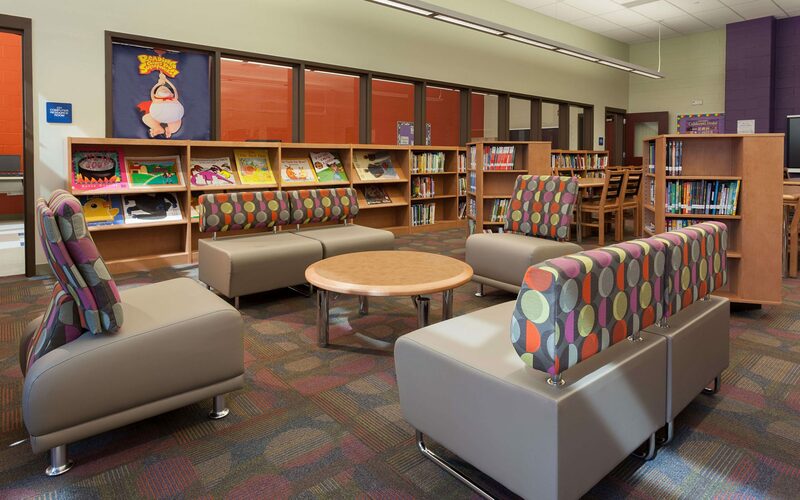 Shared-use community space is provided via separate entries, allowing for separation from the academic portions of the school.